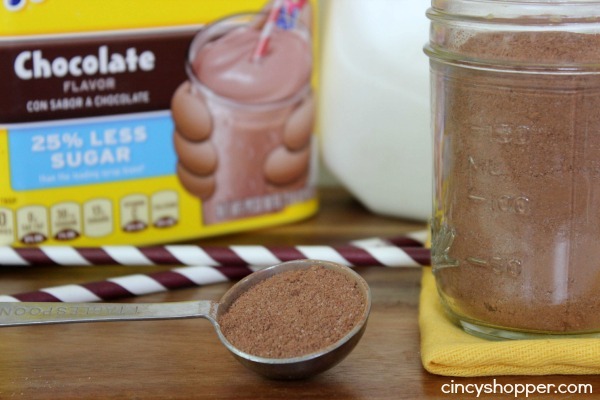 This CopyCat Nesquik Recipe will save all of us chocolate milk drinkers when in a pinch. My kiddos are huge fans of chocolate milk. A couple of them will only drink milk if they have chocolate added. One of my kiddos will only use Nesquik. He refuses to use syrup (which is always the cheapest). Nesquik can get expensive especially since we do not see coupons very often for Nesquik. Last week my son poured himself a nice tall glass of milk. We then hopped into the pantry to find an empty container of Nesquik. 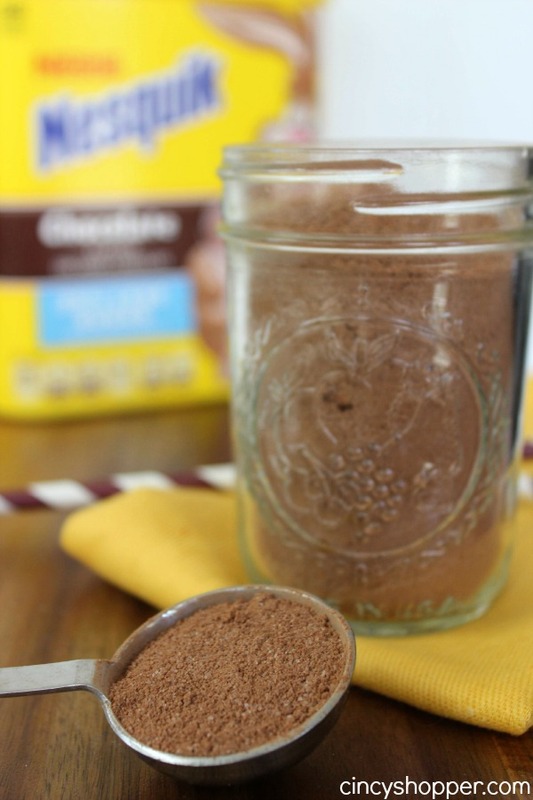 The hubby was quick to jump in and whip up a Copycat Nesquik for him to try. 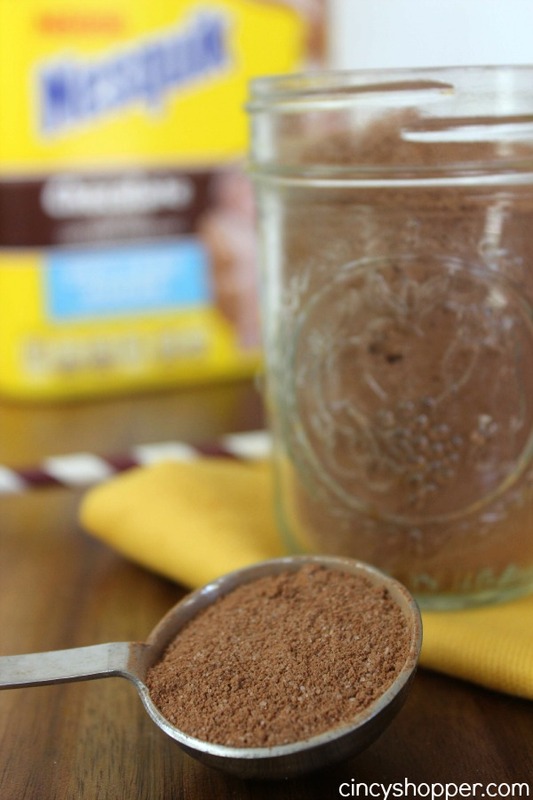 This homemade Nesquik saved me a trip to the store (which I did not have the time for at that very moment). Also, my son was VERY happy with my hubs Copycat Nesquik Recipe and says it tastes just like the real thing. 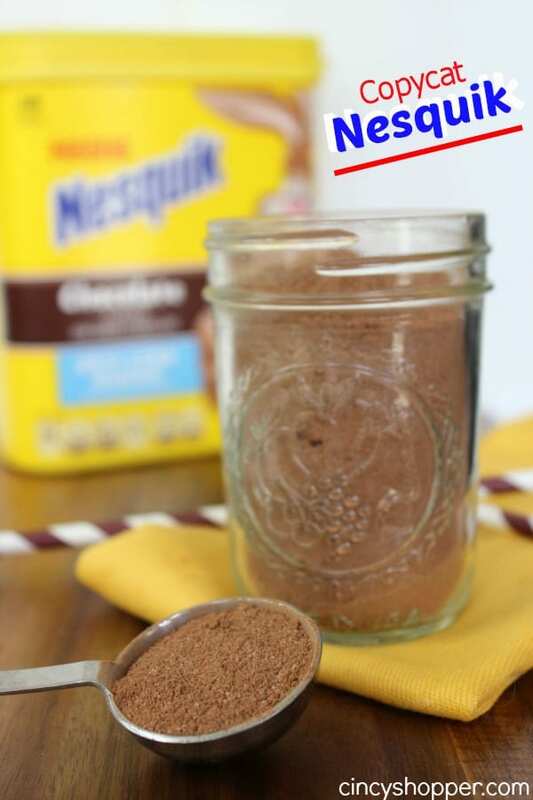 If you are in a pinch and looking to ave yourself from purchasing overpriced Nesquik… you will want to give this recipe a try too! 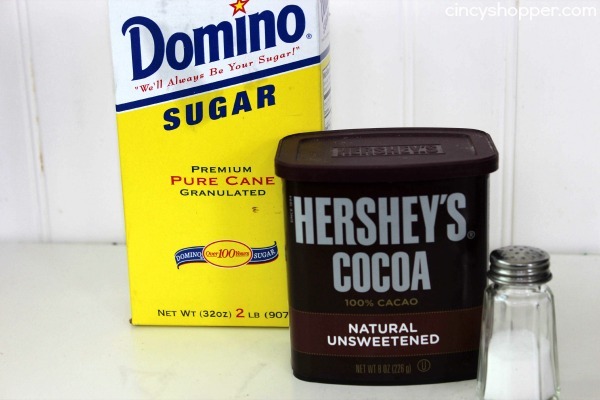 You most likely have the ingredients needed for this DIY Nesquik right in your cabinets. Just Baking Cocoa, sugar and salt. That’s it! Pretty simple that even the kiddos can whip it up. Combine ingredients and store in air tight container. Stopping by from Hearth & Soul. I love this! My husband and so are big Nesquick users and I’m not that wild about it due to cost (yes..it is expensive!) and who-knows-what’s-in it. Really excited about this copycat recipe! A great recipe! Hope you have a great week and thanks so much for sharing your awesome recipe with Full Plate Thursday. Your post has been pinned with the party! Cant wait to try this for little one. My question is how long do you think you could store it? That’s it? And I’ve been spending extra at the store all of this time? Thanks for sharing this money saving tip. Pinned. I made this recipe and it didn’t work for me–it tasted great but the mix did not dissolve in my milk at all. All the cocoa floated to the top and would not mix in. Is there a trick to this that I am missing? I put the mixture into my Vitamix (or you can use a food processor) to make the powder very fine. I also sometimes dissolve the powder in a little bit of milk first and mix it into a sort of liquid syrup. Seen this mixture, had to make. Would definitely be a cheaper option to the over priced Ñesquik, on the shelves. When you take the mixture straight to cold milk it seperates, an your left with granules afloat on top of your milk. First, take about 1 Tbsp warm tap water an your desired amount of mixture, make a syrup. Then add to your ice cold milk. Tastes just like ñesquik. This will be much cheaper than Nesquick sugarfree. 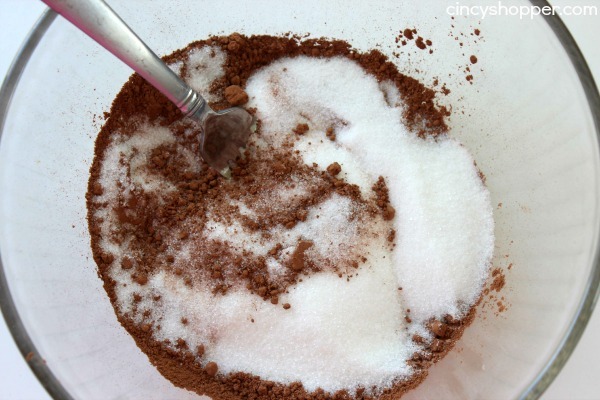 Splenda and cocoa and salt mixed in an airtight container is simple. Tablespoon of hot water and it’s ready for milk, iced coffee or in a blender with ice cream!